Thank you for your continuous support towards WKO. In Japan, the cold winter has gone by, and we are starting to feel the gentle and warm spring weather. I hope that you are doing fine in your country and region. I believe that the selection tournaments for the 12th World Open Karate Championship are being carried out actively in various countries and regions over the past several months. In parallel with such events, the preparation work for the tournament is being carried out actively in Japan, the host country, mainly by the office headquarters. As the tournament approaches, there will be various documents and information that will need to be received from your side, and I sincerely hope for your kind cooperation in following the relevant deadlines, so that the overall efficiency of the preparation work can be maintained at a high level. I sincerely appreciate the numerous invitations I have received from various countries this year. In February, I attended a seminar organized by the Guam Branch (Branch Chief Chris Biolchino), and in March, I attended the regional tournament, seminar, and grading exam organized in South Africa (Country Representative Isaac Mashinini), where I had not visited for 24 years. There are many family members training together in the Guam Branch, and the ties between the families are very strong. In terms of technique, they are dedicated to the fundamentals, and the children demonstrated great flexibility. I have great expectations for their further development in competitions. This was my third consecutive year of visiting Guam, and the remarkable growth of the children made me happy and gave me courage. As for South Africa, the competitors that performed well at past World Championships have retired from competition, and are now developing the next generation of competitors. At the competition, I noticed their unique and explosive power, and their cleverness in combining that with their techniques, and felt an unlimited potential in their high competition level. Many non-WKO competitors participated in the tournament, but I expect for the WKO competitors to train even harder, and demonstrate the strength of WKO in future tournaments. Both branches had a strongly united board that guided the related events to great success with their nice teamwork. I wish to express my sincere appreciation to the warm hospitality and welcome we received during our stay in both countries. I will be looking forward to seeing you again in Japan at the World Championship. 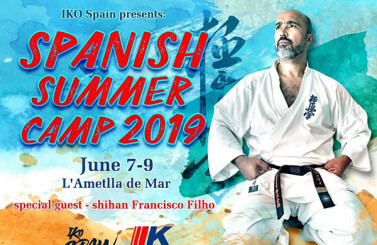 The united front of Full Contact Karate, mainly led by WKO, is taking steps forward with the 1st World Fullcontact Karate Championship in 2020 as a target, and the organization of the international federation is gaining speed. The world board members for the founding period have been selected, and the exchange of ideas between these board members will play an important role in the founding stages of the organization. 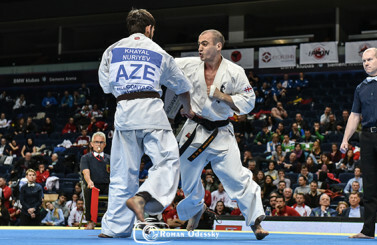 The uniqueness of Full Contact Karate, the diversity seen in the many groups and styles, and the actual fighting characteristics in the full contact competition. Such individual features will be progressively included in the international federation, and will shine brightly in the international sports world. In such large movement, WKO will always maintain a fair and just approach, a spirit of selflessness and service, and gladly accept the obligation that comes with taking on the leading role in this great mission. 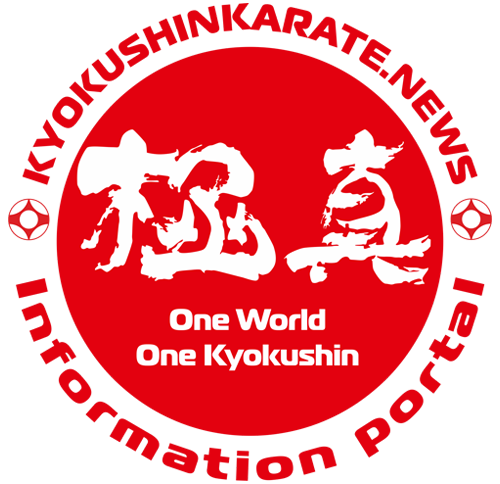 The foundation of Full Contact Karate, is the Kyokushin Spirit founded by Sosai Oyama. “Keep your head low, eyes high, mouth shut; base yourself on filial piety and benefit others”. We should always return to such spirit, and keep moving forward in a straight line, on the road we believe in. I sincerely look forward to your kind cooperation. Lastly, I will need to inform you of disheartening news. Branch Chief Kunihiro Suzuki, the winner of the 8th World Open Karate Championship, was diagnosed with acute lymphocytic leukemia, and will need to be hospitalized for long-term treatment. 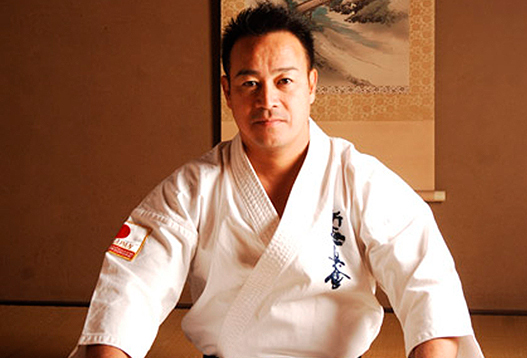 As you are all aware, Branch Chief Suzuki has achieved great results in various world tournaments, has overcome numerous difficulties, and is a very strong Budoka praised around the world for his continuous efforts. I would like to ask for the worldwide support of Branch Chief Suzuki and his efforts to battle this disease, for he is very motivated to overcome this challenge with a positive mindset. I would like for him to quietly concentrate on the necessary treatment, and I strongly believe that he will return back to the dojo in great health. WKO is a big family that crosses over race, national borders, and religion. I would like to join hands with everyone in the world, so that our family will continue to grow, and unite everyone with a strong and everlasting bond.